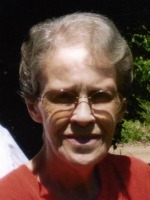 Roberta Kiser of Kalamazoo, Michigan passed away Thursday, October 27, 2011 in Kalamazoo. Mrs. Kiser was born June 21, 1924 in New Castle, PA to Lloyd and Elizabeth (Trover) Wimer. She was a veteran of WWII serving as a nurse in the Army. During the Vietnam war she worked at Ft. Sam Houston in the burn unit. Roberta was a member of Grove Church of Lake County, OH, a member of Eastern Star and had worked to support the WW II National Monument. Roberta was a very positive, upbeat person, always smiling and encouraging others. She was well known for her delicious desserts. On August 20, 1971 in Kalamazoo she married Lewis Kiser who survives. Also surviving are a son Dave (Anne) Masley; her step children, Kent (Carolyn Norman)Kiser, Robert Kiser and Kristine Fuller; 7 grandchildren; and 1 great grand-daughter; a brother, Lloyd Wimer and a brother-in-law, Floyd Cotton. She was preceded in death by her sons, Thomas and Don Masley. Friends may visit with her family from 10 A.M until the time of the service at 11 A.M. Tuesday at the Winkel Funeral Home, Otsego. Burial will follow at Ft. Custer National Cemetery, Augusta at 1:30 P.M. Contributions in memory of Roberta may be made to Parkinson’s Foundation. Fred Daniels of Plainwell, Michigan, passed away Friday, October 21, 2011 in Grand Rapids. Mr. Daniels was born April 20, 1926 in Waterbury, Connecticut to Frederick and Margaret (Kapteyn) Daniels. He was a graduate of Stoneybrook High School, Long Island. During WWII he served his country in the U. S. Navy and also in the U.S. Air Force during the Korean Conflict. Fred earned his Bachelor Degree from Calvin College and his Master Degree from Michigan State University. For 20 years he was employed as Rehab Counselor and Director of Admissions with Michigan State Technical Institute, retiring in 1985. For several years he served on the Plainwell Board of Education. Fred and Dorothea enjoyed traveling and after retirement spent many winters in Florida. On June 9, 1962 in Ionia he married Dorothea Brown, who survives. Also surviving are two daughters, Karen (Gary) Packard of East Tawas, MI and Linda (Chris) Goepper of Lawrenceburg, IN; four grandchildren, Nick, Kasey, Bradee and Jason Goepper. In keeping with his wishes cremation has taken place and there will be a private family service. Burial of ashes will be at Hillside Cemetery, Plainwell. Contributions in memory of Fred may be made to Christian Neighbors, P.O. Box 53, Plainwell, MI 49080 or the charity of your choice. Carolyn McNees of Plainwell, Michigan (formerly of Bloomingdale) passed away Saturday, October 16, 2011 at her home. Mrs. McNees was born September 26, 1934, in Kalamazoo to Francis and Winnie (Klimp) Miller. Carolyn was a member of the First Congregational Church of Otsego. In her leisure time she enjoyed baking and spending time with grandchildren. On August 15, 1953 in Kalamazoo she married Stanley McNees, who survives. Also surviving are her children, Linda Jolicoeur of Bloomingdale, Douglas (Judith) McNees of Lawton and Scott (Jeannie) McNees of Bloomingdale; 11 grandchildren, Tammy, Dennis Jr., Joe, Michael, Nathan, Hailey, Kyle, Wyatt, Scott, Kaitilyn and Emma; 5 great-grandchildren, Brooke, Jessie, Angel, Hannah and Joy; her sisters, Sharron (F.D.) Dooyey, Margaret (Fred) Wilson and Charlene (John) Essman; several nieces and nephews. She was preceded in death by her parents and her sons, Steven and Michael. Friends may meet with Carolyn’s family from 5 to 8 P.M. Wednesday, October 19, 2011 at the Winkel Funeral Home, Otsego. Cremation will follow. A Memorial Service will be held at 6:00 P.M. Thursday, October 20, 2011 at the First Congregational Church of Otsego, 120 W. Morrell St., with Pastor David Youngs officiating. Burial of ashes will follow at Evergreen Cemetery, Bloomingdale at a later date. Michael J. McFanin of Otsego, Michigan passed away Tuesday, October 11, 2011 in Kalamazoo. Mike was born February 8, 1960 in Plainwell to Ronald and Kay (Kissinger) McFanin. He had worked for Advance Poured Walls as a heavy equipment operator from 1994 – 2009, prior to 1994 he had worked for Brigham Excavating. Mike enjoyed hunting, fishing, flying RC airplanes and helicopters and had attended the First Baptist Church of Otsego his entire life. On October 7, 1989 in Otsego he married Gail Brown, who survives. Also surviving are his children, Jenna and Kyle McFanin; his parents, Ron and Kay McFanin; his grandmother, Maxine McFanin, all of Otsego; his siblings, Ronda Penny, of Otsego, Kim Gillies of Otsego, Brad (Desi) McFanin of Plainwell, Colleen (Ward) Litchfield of Granger, IN, Ron (Barb) McFanin of Otsego, Brian (Kelly) McFanin of Kalamazoo, Christina (Todd) Back of Plainwell and Amanda (Ryan) Arthur of Huron, OH; many aunts, uncles, nieces, nephews and cousins. He was preceded in death by his grandparents, Ward & Dorothy Kissinger and Ron McFanin and his uncle Roger McFanin. Friends may meet with his family from 5-8 P.M. Friday at the Winkel Funeral Home, Otsego. A Memorial Service will be held Saturday at 11:00 A.M. at the First Baptist Church, Otsego with Pastor Merlyn Jones officiating. Private burial of ashes will be at Alamo Center Cemetery. Contributions in memory of Mike may be made to Rose Arbor Hospice or the Otsego First Baptist Church Building Fund. 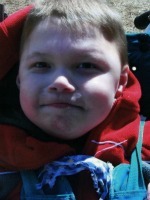 Ethan Alexander Trudelle of Otsego, Michigan, passed away Monday, October 10, 2011 in Plainwell. Ethan was born January 29, 2005 in Kalamazoo to Peter and Jennifer (Schack) Trudelle. He was a happy little boy, who loved people and was always smiling. Once he got to know you he enjoyed touching your face. He loved school, being outside and watching birds, and loved his brothers and sisters, whose hair he enjoyed pulling. Anything bright and lively he especially enjoyed, as well as being tickled and wrestled with, listening to music, sitting up with the kids, going on rides, having air blowing in his face and talking early in the morning. Surviving are his parents, Peter and Jennifer Trudelle; his siblings, Gavin, Peter, Jillian and Carys; grandparents, Lawrence and Muriel Schack and Orvil Trudelle; aunts, Melissa Schack, Karen Beck and Lisa Sanders. He was preceded in death by his grandmother, Virginia Carruthers. Friends may visit with Ethan’s family from 2 to 4 and 6 to 8 P.M. Thursday at the Winkel Funeral Home, Otsego, and from 10 to 11 A.M. Friday at the First Baptist Church of Otsego where Funeral Services will be held at 11:00 A.M., with Pastor Merlyn Jones officiating. Burial will follow at Mountain Home Cemetery, Otsego. Contributions in memory of Ethan may be made to the Children’s Ministries at First Baptist Church of Otsego. 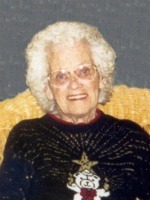 Billie Jean Schultz of Plainwell, Michigan, passed away Friday, October 7, 2011, in Plainwell. Billie Jean was born May 10, 1935 in Manila, Arkansas to Rollo and Doris (Pierce) Fleeman. She had worked as a bus driver for Otsego Public Schools and in Food Services at WMU. Billie Jean enjoyed traveling, fishing, collecting dolls, country music and Happy Meals. On January 13, 1979 she married Denny Schultz who survives. Also surviving are a son, Keith G. (Debra) Cornell of Kalamazoo; 2 granddaughters, Heather Danielson of Galesburg and Sunshine McCurdy of Grand Blanc; 3 great grandchildren. She was preceded in death by her parents, 1 daughter, Sabrina Cornell, 3 sisters, Edith Spears, Ruth Kruithoff and Pat Nelson, a brother, Glen Fleeman. Friends may visit with her family on Tuesday from 10:00 A.M. until the time of service at 11:00 A.M. at the Winkel Funeral Home, Otsego, Pastor Kathy Brown officiating. Burial will follow at Hillside Cemetery, Plainwell. In lieu of flowers, contributions may be made to the Alzheimer’s Association. 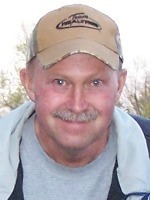 James R. “Jim” McCormick of Plainwell, Michigan passed away unexpectedly Friday, October 7, 2011 at his home. Mr. McCormick was born February 3, 1940 in Kalamazoo to Kenneth and Ethyl (Amsbury) McCormick. He was a member of the Plainwell High School Class of 1958 and from 1961 to 1965 he served his country in the U.S. Navy. For 38 years he was employed as a tool and die maker with Parker Hannifin Brass. Jim was a member of the Otsego Moose Lodge #345, the Allegan Eagles Lodge and the American Legion of Allegan. In his leisure time he enjoyed working crossword puzzles and reading. Surviving is his wife of 26 years, Linda (Jackson). Also surviving are a son, Jim of Kalamazoo; two grandsons, Kiefer and Shane of Kalamazoo; his siblings, Ruth Wicklund of Bradley, Mick (Cathy) McCormick of Allegan, Betsy (Joe) Tutchton of Colorado, Mary Haywood and Linda McCormick, both of Texas; step-children, Scott (Sherry) Hickman of Dowling, Michael Hickman of Kalamazoo and Tamera (Kirk) Wise of Florida; nine step-grandchildren. He was preceded in death by his parents and by a sister, Barbara Stephens in 2002. In keeping with his wishes, cremation has taken place. A Memorial Service at the Otsego Moose Lodge will be held at 12:00 Noon on Monday, October 10th. 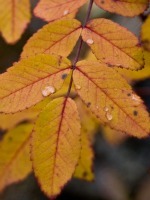 Margaret E. Lovett of Otsego, Michigan passed away Friday, October 7, 2011 in Alamo. Mrs. Lovett was born June 27, 1919 in Richland, Michigan to Dorsey and Gertrude (Grigsby) Ames. Margaret worked for Eaton Corp. for 30 years before retiring in 1982. She enjoyed her family and times spent with them, plus her extended family for the past four years at FMC Oshtemo Dialysis Clinic. Margaret loved flowers and birds and had a special cat, Jazz “Kitty Kitty”. She is survived by a son and his wife, John C. and Sue Lovett of Otsego; a daughter and her husband, Margaret Ann and Marshall Howrigon of Plainwell; six grandchildren, Debra Lovett, John C. (Wendy) Lovett, Jr., Robin Goodrich, Tonia (Mark) Shoup, Tracey (Jim) Digby and Trent Howrigon; 12 great-grandchildren; and one great-great-grandchild. She was preceded in death by her husband of 60 years, Carl Lovett; her parents; a sister, Ellen Ames Young; two brothers, Fred Ames and Clarence Ames; and a special friend, George. In keeping with her wishes, cremation has taken place. Friends may visit with her family from 6 to 8 P.M. Sunday at the Winkel Funeral Home, Otsego where a Memorial Service will be held at 1:00 P.M. Monday, Celebrant Bill Rose officiating. Contributions in memory of Margaret may be made to the Alamo Nursing Home or Borgess Foundation/VNA and Hospice. 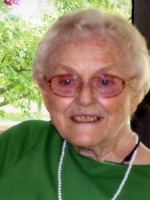 Frances “Pat” Phillips of Plainwell, Michigan, passed away Friday, October 07, 2011, in Kalamazoo. She spent her last day with her family and she was full of smiles. Pat was a loving and devoted wife, mother, grandmother and great-grandmother. Born November 2, 1940 in Otsego to Irvin and Ethel (Fletcher) Fuller, she was a lifelong resident of the area. In 1973 she began working for the Kellogg Biological Station, retiring in 1995 after over 20 years of service. In her leisure time she enjoyed riding horses and motorcycles, and her cats and dog. Pat loved her family and was always ready to feed them. She is survived by her husband of 52 years, James Phillips; son, Randy (Missie) Phillips; daughter, Patti (Bab) Phillips; five grandchildren, James, Joseph, Hope, Michelle and Ryan; four great-grandchildren, Aiden, Chase, Lexi and Olivia; sisters, Rosey Oetman, Jenny (Ron) Pillars and Carol (Dale) Wiley. She was preceded in death by her parents; two brothers, Bud and Ray Fuller; two sisters, Donna Stewart and Bea Syers. Friends may visit with her family from 1 to 4 P.M. Sunday at the Winkel Funeral Home, Otsego, where funeral services will be held at 11:00 A.M., Monday, celebrant Bill Rose officiating. Burial will follow at Mount Ever-Rest Memorial Park – North. Contributions in memory of Pat may be made to the Rheumatoid Arthritis Foundation. Ruth L. Raymer of Delton, Michigan passed away Tuesday, October 4, 2011 in Kalamazoo. Mrs. Raymer was born on September 19, 1924 in Pontiac, MI to Lloyd and Beatrice (Eckerd) Barteau. She enjoyed knitting and crocheting and loved her family. On April 10, 1943 Ruth married Donald Raymer who preceded her in death in 1993. Also preceding her in death were her siblings, Betty, Eva and Clarence. Ruth is survived by her children, Betty (Hank) Brummel of St. Charles, Kathleen (Jim) Mendel of St. Joseph and Carol (Rick) Troyer of National City; 8 grandchildren; 12 great-grandchildren and by her brother, Jim Barteau of Saginaw. Funeral Services will be held at 4:30 pm at Thornapple Valley Church on Thursday, October 6, 2011, Cathy Peters officiating. Graveside services will take place at Eastlawn Memorial Gardens, Saginaw on Friday, October 7, 2011 at 2 pm. Contributions in memory of Ruth may be made to her family.